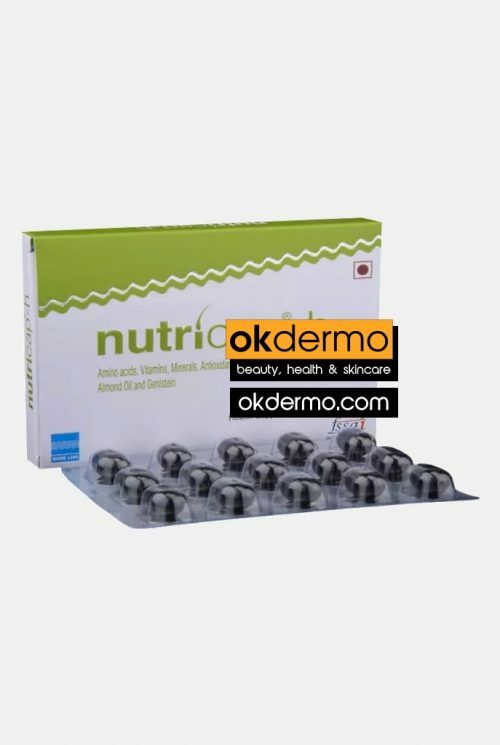 Derantox® capsules made by reputable Curatio Healthcare. 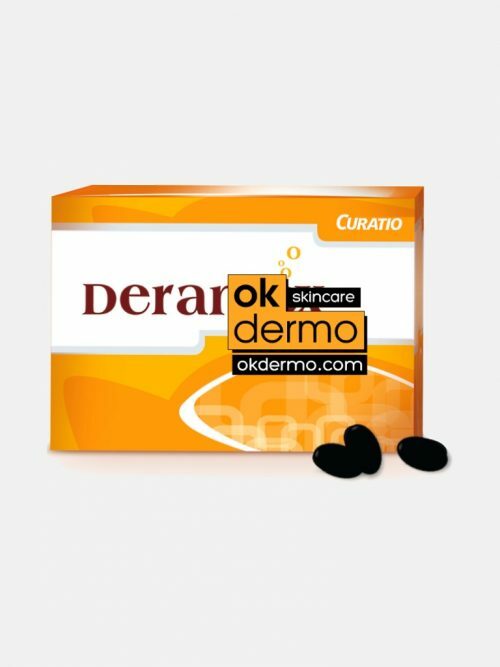 Derantox is a specially designed antioxidant formula to minimize the skin damage caused by sun rays. Beta-carotene 30mg – Beta-carotene metabolism takes place in a wide variety of organs, including the skin. Many studies have found that it helps prevent the formation of UV-induced erythema, or skin irritation and redness. Although it can be compared to the efficacy of sunscreen, there’s evidence that beta-carotene can protect the skin against sunburn by increasing the basal defense against skin damage caused by UV light. Biotin 150mcg – a Biotin, or vitamin B7, is a water-soluble vitamin that’s a part of the vitamin B complex, a group of key nutrients needed for healthy metabolic, nerve, digestive and cardiovascular functions. Biotin acts as a coenzyme in the body that’s needed for the metabolism of fatty acids, amino acids, and glucose. This means that when we eat foods that are sources of fats, proteins and carbohydrates, vitamin B7 – biotin – must be present in order to convert and use these macronutrients for bodily energy to carry out physical activities and for proper psychological functioning. Biotin is found in vitamin B. It takes sole responsibility for forming skin cells properly and helps bring moisture back to your skin. Also, vitamin B acts as a skin lightener and can clear up blotchy skin areas. Our body does naturally produce biotin, but you still need to take it in with foods or supplements to get what your body requires. Lacking enough vitamin B may cause skin inflammation, blotchiness and dermatitis, which can cause itching and redness. 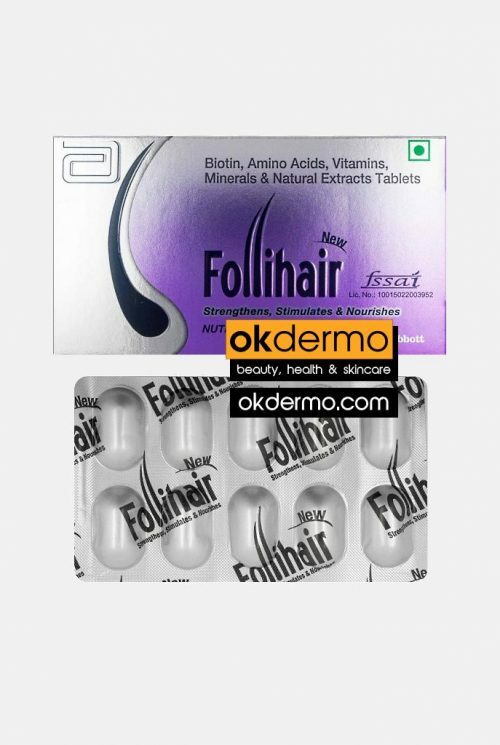 Biotin benefits include helping to give us a young, attractive appearance since it plays a major part in maintaining the health of our hair, nails and skin. In fact, biotin sometimes gets the nickname the H vitamin, which stems from the German words Haar and Haut, which mean “hair and skin”. Vitamin B7/biotin is commonly added to hair and skin beauty products, although it’s believed to not be absorbed very well through the skin and actually must be ingested to be fully beneficial. Elemental Copper 1mg – The health benefits of copper include the proper growth of the body, efficient utilization of iron, proper enzymatic reactions, as well as improved health of connective tissues, hair, and eyes. It is also integral to preventing premature ageing and increasing energy production. Apart from these, regulated heart rhythm, balanced thyroid glands, reduced symptoms of arthritis, quick wound healing, increased red blood cell formation, and reduced cholesterol are other health benefits of copper. Copper regulates melanin production. Copper is a vital component of the natural dark pigment, melanin, which imparts colouration to the skin, hair, and eyes. Melanin can be produced by melanocytes only in the presence of the cuproenzyme called tyrosinase, which is derived from it. Intake of its supplements also helps in protecting against greying of the hair, so while it is often overlooked as an antioxidant mineral, it does protect the integrity of those cells and keeps you looking young! It also maintains the colour of your eyes, and is essential, along with zinc, to keep your eyes beautifully coloured into your old age. Elemental Copper is an important nutrient that plays a significant role in the synthesis of haemoglobin, myelin, body pigment melanin, and collagen. It helps to protect the myelin sheath surrounding the nerves and is also actively involved in the production of elastin, an element of connective tissue that keeps the skin flexible. This also keeps your skin from looking older, by keeping it flexible and less prone to sagging and wrinkles. Elemental Manganese 2mg – maintaining your skin’s collagen levels. The two main amino acids needed to make collagen in humans are glycine and proline. Proline is used for the structural integrity of the collagen that constructs your skin. However, proline comes very tightly bound to other amino acids in its food form. Enzymes are needed to cleave them apart and extract the proline, and prolidase is one of those enzymes. Manganese is a vital co-factor for prolidase formation. Without manganese the chain reaction of collagen creation is cut off, leaving your skin deprived of proteins and weaker. 2) protect your skin from irritation from UV radiation and other sources. Selenium Dioxide 200mcg – Selenium neutralizes free radicals and other skin-damaging compounds before they can lead to wrinkles. It’s similar to vitamin E and actually works with the vitamin to safeguard cell membranes, the protective coating around cells. That makes selenium a key player when it comes to slowing the signs of ageing. In fact, research has shown that it’s a triple threat, protecting against UV-induced cell damage, skin inflammation, and pigmentation. Recent studies continue to emphasize the importance of selenium and other antioxidants on skin health and reducing the risk of skin cancer. Zinc Sulphate 27.5mg – Zinc, which is actually a type of metal, is an essential trace element. When you hear zinc in regards to your health, you probably think of it as one of the many effective natural cold remedies. In other words, only really necessary once in a great while. However, zinc is needed in small amounts every day in order to maintain health and perform important functions each day. Zinc benefits the body in many ways: helps with hormone production, growth, and repairment; improves immunity and facilitates digestion. Zinc benefits also include its ability to act as an anti-inflammatory agent, therefore zinc may have significant therapeutic benefits for several common, chronic diseases like fighting cancer or reversing heart disease. Zinc is actually present within all body tissue and needed for healthy cell division. 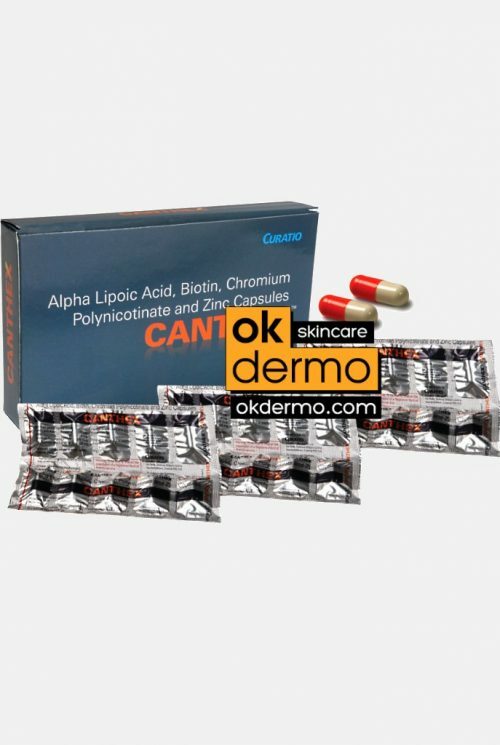 It acts as an antioxidant within the body, fighting free-radical damage and slow the ageing process. Zinc also has a big impact on hormonal balance, so for this reason, even a small zinc deficiency can result in an increased risk for infertility or diabetes.